Argentine football returns on Friday evening as Vélez Sarsfield visit Tigre and for all intensive purposes things may seem exactly the same as last season. However, the Argentine Football Association’s (AFA) plans to reduce the number of top flight teams is already underway and so last year’s hideous 30-team Primera is now a ever so slightly better 28-team Superliga. In an economic breakaway, similar to the Premier League or LaLiga, Argentina now has the Superliga but aside from an increase in money (particularly to the grandes) there is little noticeable difference. Kicking off this weekend, the Superliga runs through until the midseason break in December and resumes again at the end of February before crowing a new champion in May 2018. The promedios remain to decide relegation with four teams once more set for the drop next year and so aside from the two less clubs, the only other difference to last season is the Fecha de Clásicos has been done away with. Last season, all 30 clubs played each other once, except for their corresponding clásico, which they played home and away. However, this was not popular with many of the big clubs, due to the obvious inequality of having varying fixture lists, and so this season is simply decided by the 28 top flight teams playing one another once. Comfortably winning the Nacional B, Argentinos Juniors should be full of confidence on their return to the top flight but Gabriel Heinze’s resignation while the champagne corks were still popping has slightly dampened expectation. El Gringo’s side played some superb football and looked all set for life in the Superliga but with Alfredo Berti (pictured bottom left) now in charge and the likes of Nicolás Freire, Francisco Fydriszewski and Esteban Rolón (probably) out the door, plus goalkeeper Federico Lanzillota rupturing knee ligaments, Los Bichos appear substantially weaker. Transfers: Nicolás Freire to PEC Zwolle, Francisco Fydriszewski to Lugo and Esteban Rolón looking set to join Genoa are real blows to the starting eleven but Argentinos have brought players in too. Veteran playmaker Leonardo Pischulichi has returned to the club, tiny Franco Niell arrived from Gimnasia to hopefully add some much needed goals along with goalkeeper Maximiliano Cavallotti. Colombian centre back Camilo Saiz has come in from Independiente Medellín to hopefully fill Freire’s boots and young striker Jonathan Cañete arrives from Independiente. 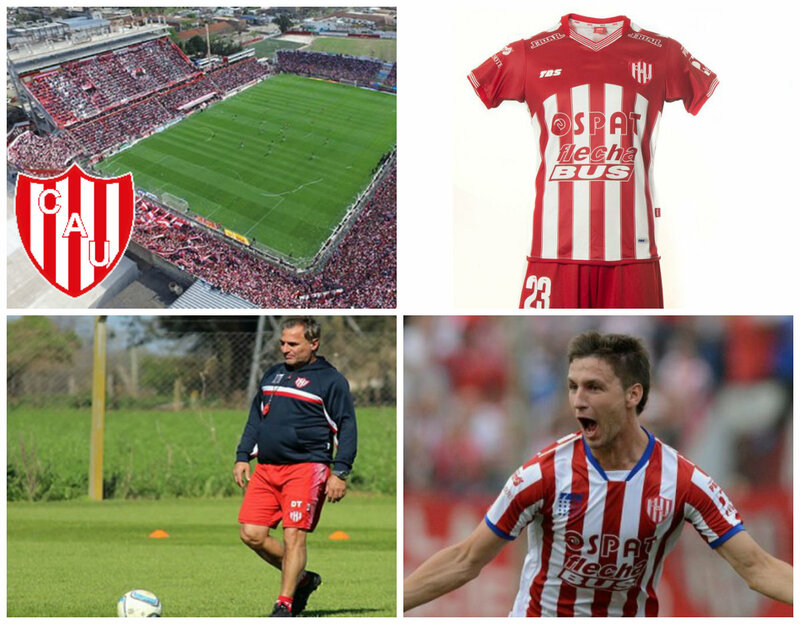 Key Player: Last season’s leading scorer Braian Romero (pictured bottom right) scored fifteen times in the Nacional B and with Fydriszewski gone, his goals will be needed more than ever. Utterly dreadful for the vast majority of last season, Humberto Grondona did just enough before the end of the season to keep Arsenal in the top flight but make no mistake, El Viaducto remain in the thick of the relegation battle. Having crashed out of the Copa Sudamericana, Arsenal have remained pretty active during the close season and friendly results heading into the new season have been largely positive, albeit against lower league opposition. As always, the turnover of players in Sarandí has been enormous and the question is whether Humbertito can mold an improved team. Transfers: More than fifteen players left the club during the window, including Jonathan Bottinelli, Juan Sánchez Sotelo, Franco Bellocq, Leandro Marín and Joaquín Boghossian to name a few so understandably Grondona has replaced in numbers. Iván Bella arrives from Vélez along with Emiliano Papa and a host of youngsters, who Humberto knows from his time with the Argentina youth system. Facundo Monteseirín, Rodrigo Contreras and Sergio Agüero’s younger brother all come in on loan deals. Key Player: Given the high turnover, picking a key player is a tricky one but 20-year-old Juan Brunetta showed flashes of his talent last season and has been a goalscorer in preseason. After the highs of qualifying for the Copa Libertadores in the 2016 Transición, it was perhaps understandable to see Atlético Tucumán suffer a domestic dip last season as they balanced cup commitments. 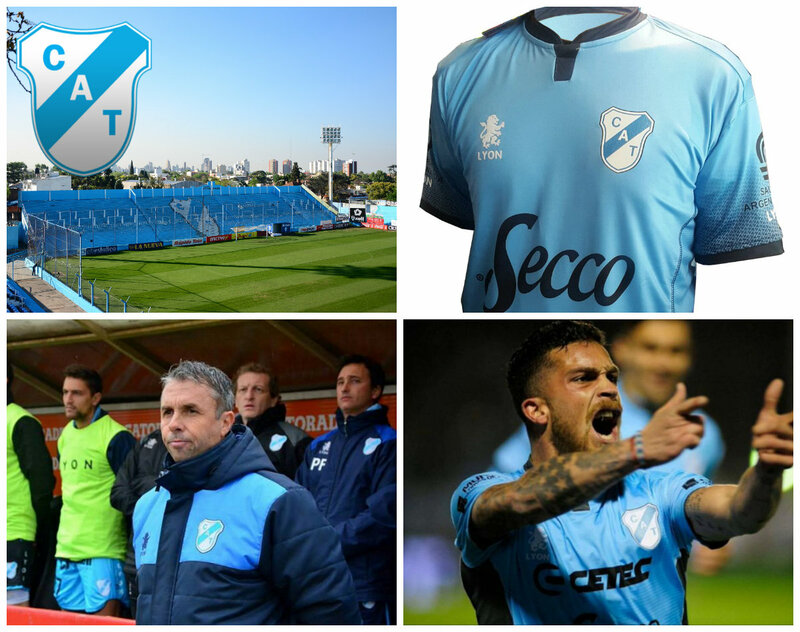 Now competing in the Copa Sudamericana and under the management of Ricardo Zielinski, El Decano will be a very different side this season, having seen a number of players leave the club. However, the electric atmosphere in Tucumán always drives the team forward, recent cup results have been good and Atleti enjoyed friendly wins over Arsenal and Boca reserves. Transfers: While Gervasio Núñez, Nicolás Romat, Yonathan Cabral, Franco Sbuttoni, Ismael Blanco and Cristian Villagra all look like decent bits of business, they will need to be when you consider who has gone. Most noticeably, strikers Fernando Zampedri and Cristian Menéndez, midfielder Nery Leyes, central defender Bruno Bianchi and outstanding right back Leonel Di Plácido. Key Player: If the recent Copa Sudamericana victory was anything to go by Luis Pulga Rodríguez remains vital. His hat-trick ensured El Decano’s progression and with Zampedri and Menéndez gone, more will be needed. Julio César Falcioni didn’t manage another Primera title but El Emperador brought the good times back to the Estadio Florencio Sola as El Taladro surprisingly qualified for the 2018 Copa Libertadores. Reproducing that form this season will be tough given some of the players that have left but provided Banfield’s formidable home record remains the same, Falcioni should keep his side in the top half of the table. Preseason defeats on the road against Vélez, Nacional and Boca suggest that going on the road could still be a weakness. Transfers: Talented youngsters Emanuel Cecchini, Thomas Rodríguez and Alexis Soto all departed along with defender Carlos Matheu and playmaker Brian Sarmiento but Banfield have brought in some further experience. Nicolás Bertolo remains at the club and has now be joined by Pablo Mouche and Jesús Dátolo. Key Player: Darío Cvitanich returned midway through last season and his eight goals fired Banfield to the Libertadores. The veteran striker will need to keep that strike rate going. It’s difficult to imagine Belgrano can be worse than they were last season after winning only five matches and recording one of the lowest goal totals in the top flight. Sebastián Méndez came as manager during the second half of the campaign and oversaw three of those victories so after a full preseason will be aiming for better. Friendly results have been positive, as aside from a defeat to Newell’s, El Pirata enjoyed wins over Racing de Córdoba, Temperley and a 5-1 victory against Colón. Transfers: Another club that have been busy in the market after as many as fourteen players left the Estadio Mario Kempes. Claudio Bieler, Guillermo Farré, Renzo Saravia, Mario Bolatti and Lucas Aveldaño were among those out the door but coming in were forward Jonathan Ramis, Neri Bandieri (Aldosivi), Marcelo Benítez (Godoy Cruz), Santiago Martínez (Montevideo Wanderers) and Marciano Ortíz (Independiente). Key Player: Belgrano undoubtedly didn’t see the best of Matías Suárez last season but if Sebastián Méndez could get that out of the former Anderlecht forward, expect a much improved campaign. Lifting the Primera title was more or less the minimum requirement for Guillermo Barros Schelotto last season and the expectation of Boca’s defence is no less demanding. Having kept the core of the side together and adding a few excellent reinforcements, Los Xeneizes remain incredibly strong and the team to beat. Preseason has been positive and despite a couple of friendlies requiring penalties, Boca have beaten every opponent – Nacional, Villarreal, Colón, Banfield and Cerro Porteño. These long seasons play to the advantage of the grandes and Boca are probably favourites to regain their title. Transfers: Rodrigo Bentancur left for Juventus and the loans of Ricardo Centurión, Jonathan Silva, Axel Werner and Fernando Tobio all expired but Boca have bought well in this window. Paolo Goltz is a strong defensive signing, Crisitan Espinoza arrived on loan, talented young Uruguayan Nahitan Nández looks likely and importantly Colombian enganche Edwin Cardona signed from Monterrey. Key Player: New signing Edwin Cardona has already had a big impact in preseason and the Colombian will likely excite supporters a lot more over the course of the Superliga. After dramatically sealing a historic promotion on the final day of the season, Chacarita will enjoy themselves back in the top flight but remain fully aware of the task ahead. The goals of Rodrigo Salinas were a vital part of Los Funebreros success and with the striker now playing in Saudi Arabia, Chacarita could be in for a real struggle. Transfers: The departure of Salinas is a huge blow and the prolific centre forward was not the only player to leave the club in the window. Coming in to try and secure top flight status are Cristian Erbes, Javier Mendoza, Juan Imbert, Lautaro Montoya, Pablo Vegetti and veteran goalkeeper Cristian Campestrini. 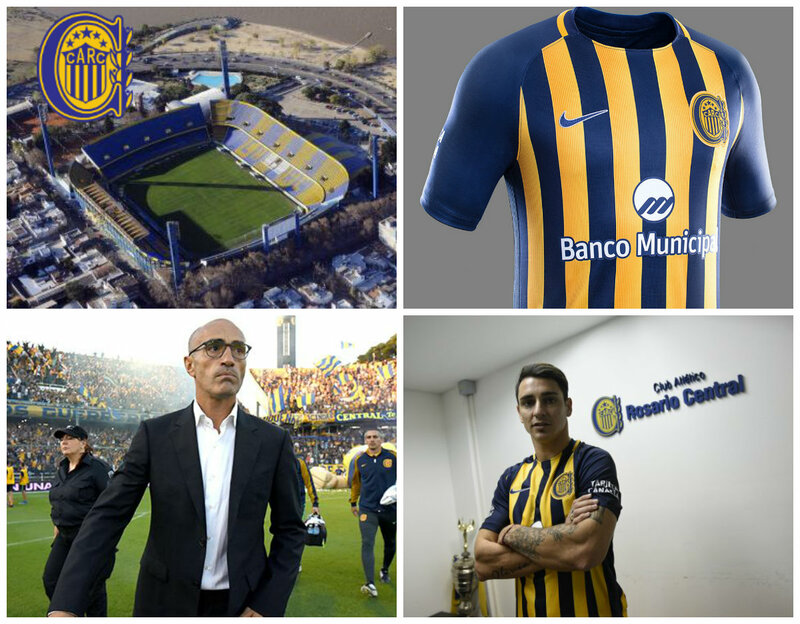 Key Player: Chacarita will need some experienced heads to stay up and Pichi Erbes certainly brings that after racking up over 150 appearances with Boca Juniors. Despite results tailing off towards the end of last season, resulting in an eleventh-placed finish, it was a decent year for Colón. Under Paolo Montero during the first half and current boss Eduardo Domínguez after the break, El Sabalero had one of the best defensive records in the league and will be aiming to repeat that in the Superliga. Not the most exciting team to watch, Colón were experts in keeping clean sheets and nicking the points but if an inconsistent preseason is any indication, things may be about to change. The Rojinegros have been scoring more than usual but uncharacteristically leaking goals too. Transfers: Surprisingly to date, Colón have kept hold of centre back Germán Conti but have lost goalkeeper Jorge Broun, midfielder Gerónimo Poblete, who signed for Metz and striker Ismael Blanco. Those loss of those two will be most keenly felt but coming the other way, Colón have added Jonathan Galván, Gustavo Toledo, Diego Morales, Matías Fritzler and Cristian Guanca. Key Player: Germán Conti was tipped to be joining Zenit St Petersburg’s Argentine revolution before they signed Emaneul Mammana and will be a massive boost if he remains at the club. Under Ariel Holan and more recently Sebastián Beccacece, Defensa y Justicia were an exciting, young side but with Jorge Sampaoli reuniting with Beccacece at Argentina, it has been all change in Florencio Varela. The fiery Nelson Vivas has taken over and immediately had to deal with a number of important players leaving the club but as ever El Halcón have completed some interesting loan deals. Friendly results have been decent and while there was the disappointment of elimination from the Copa Sudamericana, El Halcón are still going in the Copa Argentina. Key Player: Andrés Cubas was one of the hottest prospects in Boca’s academy only a year or so ago. Despite struggling for playing time since then, there is no reason Cubitas couldn’t be Vivas’ new Santiago Ascacibar. A wonderful start to last season, a dreadful middle and a strong finish saw Estudiantes confirm their 2018 Copa Libertadores spot in third. However, another club with plenty of chopping and changing in the off-season, it’s difficult to see El Pincha maintain that level. Nelson Vivas was relieved of his duties just before the campaign ended and eventually president Verón settled on Gustavo Matosas to take charge. Solid defensively and outstanding in La Plata, the new coach’s will be hoping to address the somewhat blunt attack and poor away form. Transfers: Estudiantes may pocket good money in this window but in Santiago Ascacibar signing for Stuttgart and Juan Foyth likely to move to Spurs, they are losing two top talents. Augusto Solari, Matías Aguirregaray, Lucas Viatri and Javier Toledo are all noticeable departures too and so El Pincha have needed to be busy in the market. Mariano Pavone should bring goals, as should Lucas Melano and the returning Gata Fernández while Marco Borgnino, Pablo Lugüercio and Gastón Campi look like useful additions. Key Player: Hardly one for the future but Mariano Pavone still knows how to find the back of the net and Estudiantes needed someone like that at times last season. With seven defeats in the final ten games of last season, Gustavo Alfaro didn’t see out the campaign as Gimnasia manager and so El Lobo begin the Superliga with 36-year-old Mariano Soso in charge. After a decade of working behind the scenes, the young coach has had two managerial jobs in Peru and now makes the step up with Gimnasia, keen to push on and rectify Gimnasia’s major issue with scoring goals. Despite finishing 13th last season, El Lobo were among the lowest scorers but have shown early signs of improvement in this regard during preseason. Transfers: Gimnasia have really trimmed the squad after allowing more than ten players to leave, including Franco Niell, Ramiro Carrera, Sebastián Romero and Daniel Imperiale, and only two coming the other way. Former Boca full back Nicolás Colazo and young Paraguayan defender Omar Alderete are already in as the club still keep an eye on the market. Key Player: Strongly linked with a move away from the club, veteran midfielder Fabián Rinaudo remains in La Plata and will be an important part of Soso’s team. Involvement in the Copa Libertadores clearly took priority for Godoy Cruz and last season’s league form suffered as a result. However, when El Tomba were eliminated by Grêmio early this month, it was the end of the road for Lucas Bernardi and so Uruguayan Mauricio Larriera is now in charge. Especially poor away from Mendoza, it’s difficult to see any coach lifting this current squad much above mid-table and preseason results don’t change that. Transfers: Among a host of faces to have left Mendoza the really noticeable one is goalkeeper and captain Rodrigo Rey, who signed for Greek club PAOK. Replacing him will be tough but the man tasked with that job is Uruguayan Leonardo Burián and he is joined by defender Tomás Cardona, forward Victorio Ramis, Felipe Rodríguez and Cristián Baez. Key Player: Gastón Giménez was excellent during the second half of the season and posed a goal threat from range. With one of the worst attacks in the league last season, Huracán remain in the thick of the relegation dogfight and must add goals and importantly points immediately if they are to remain in the top flight. Gustavo Alfaro is now in charge after Juan Manuel Azconzábal lasted only a few months and although he is a coach better suited to getting teams organised rather than attacking, the club have added some quality in the final third. With the added goals, Huracán should now have enough to beat the drop and if Wanchope hits the ground running, El Globo may upset a few sides. Transfers: The arrival of Wanchope Ábila on loan is a huge boost but having already signed the impressive Facundo Coniglio, El Globo have gone from lacking a proper number nine to having two. Rolfi Montenegro, Matiás Fritzler and Nicolás Romat were the noticeable names out of Parque Patricios but with Carlos Matheu, Adrián Calello, Pablo Alvarez and Saúl Saucedo all coming in, the squad looks better off. Key Player: Having never really replaced Ramón Ábila, Huracán have struggled for goals ever since but with big Wanchope back up front until December, El Globo should now pose a threat. After the bitter disappointment of losing out on a Copa Libertadores spot on the final day, Independiente go again this season desperate to find a way to qualify and maybe even end the trophy drought. Ariel Holan’s side have been outstanding since he took over and lost only once, progressing in the Copa Sudamericana and the Copa Argentina. Despite successfully introducing a number of talented young players, El Rojo’s squad still looks thin in comparison to Boca and River and this will likely see Independiente fall short of a serious Superliga title challenge. However, if there are a couple of strong signings, a spot of luck with injuries and crucially El Rojo find a way of turning home draws into wins, then who knows. Transfers: Unfortunately for Independiente, one of the window’s transfer sagas has eventually seen Emiliano Rigoni leave for Zenit St Petersburg and his pace on the counter will be missed. However, that aside, El Rojo will look very similar. Fernando Amorebieta and Gastón Silva bring international experience to the defence while Nicolás Domingo and Jonás Gutiérrez bolster the midfield with some real leadership for the youngsters. Key Player: With Rigoni gone, Ezequiel Barco will be the key man now more than ever. Despite missing the vital penalty against Lanús last season, the 18-year-old is an outrageous talent and the team will look to him for inspiration. Lanús are still going in this year’s Copa Libertadores and that remains El Granate’s priority for the time being, as it was last season. It is also the club’s only remaining route into the 2018 edition after suffering a Copa Argentina defeat to Unión last week so until this run ends, the Superliga will take second place. Jorge Almirón remains in charge and with a relatively quiet window, little change is expected from Lanús. Well below the level of the side that lifted the Primera title but still capable of beating anyone on their day, El Granate will likely be scrapping for a spot in the top six. Transfers: Defenders Ignacio Canuto and Diego Giménez bolster the squad, as does forward Facundo Castillón but it’s been an otherwise uneventful window. Hernán Toledo’s loan ended and Facundo Monteseirín, Ciro Rius and Agustín Pelletieri all left the club but none were central to Almirón’s plans. Key Player: With Lanús lining up almost exactly the same, Lautaro Acosta remains the main man. On the verge of Jorge Sampaoli’s Argentina squad, Laucha is still one of the best that the Primera has to offer. For much of last season, Newell’s were mounting a surprise title challenge but the wheels well and truly fell off and La Lepra now start the Superliga in pretty dreadful shape. Juan Manuel Llop picks things up after Diego Osella’s resignation before the end of the season but has to contend with some of his star names already having left, the club in financial disarray and the barras casting a dark shadow. A win and a defeat in two friendlies against Talleres, a victory against Belgrano and a draw with Patronato give little indication of how Newell’s will get on but it seems impossible in the circumstances that La Lepra will improve on last season. 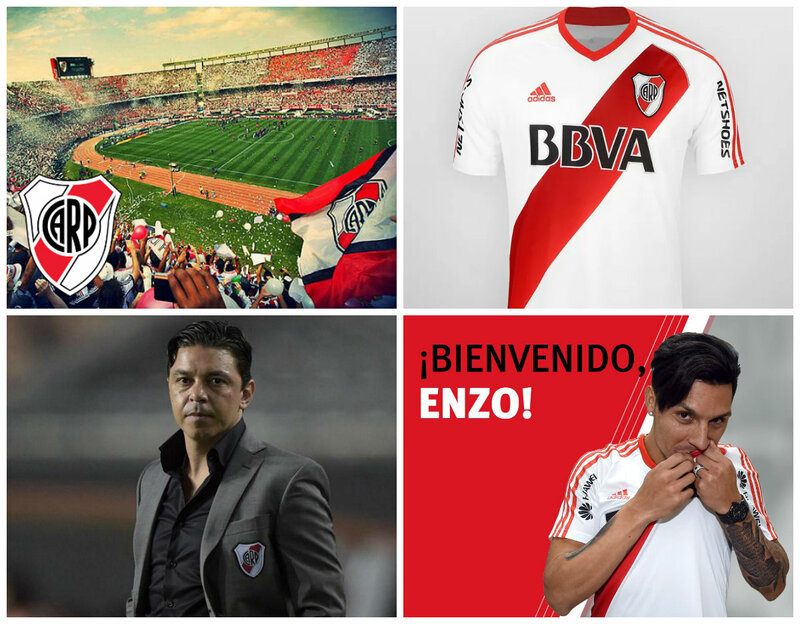 Transfers: For what it’s worth striker Mauro Guevgeozian, Brian Sarmiento, Nery Leyes, and Bruno Bianchi all look like decent signings but when you consider Maxi Rodríguez, Nacho Scocco, Sebastián Domínguez, Mauro Formica, Facundo Quignón, Néstor Moiraghi and Jacobo Mansilla all left it is difficult to argue that Newell’s are better off. Key Player: Thanks to his social media accounts, cumbia singing and appearance on ‘Dancing with the stars’ recent signing Brian Sarmiento has certainly boosted his profile but can he help Newell’s on the pitch? After narrowly avoiding relegation with a final day victory over rivals Aldosivi, Olimpo look destined for another bottom of the promedio battle. The Aurinegro weren’t actually too bad defensively last season but struggled for goals and have now seen leading scorer Facundo Coniglio, sign for direct relegation rivals Huracán. Defense has also been weakened and despite chalking up preseason victories over Liniers, Huracán and Patronato, the Superliga looks like it could long. Transfers: Coniglio’s sale will hurt but was not the only damaging bit of business as central defensive pair Carlos Rodriguez and Yonathan Cabral both also left. Cristian Nasuti, Franco Bellocq, Lucas Mancinelli, Matías Cahais and Boca youngster Pedro Silva Torrejón are all decent but underwhelming incomings. Will that group keep Olimpo up? Key Player: One of the revelations of last season and a key to Olimpo’s survival, Rodrigo Caballuci. Keeping the attacking midfielder was critical. Just two wins in the second half of last season saw Patronato sucked right into the relegation mix and that is where they start the Superliga season. 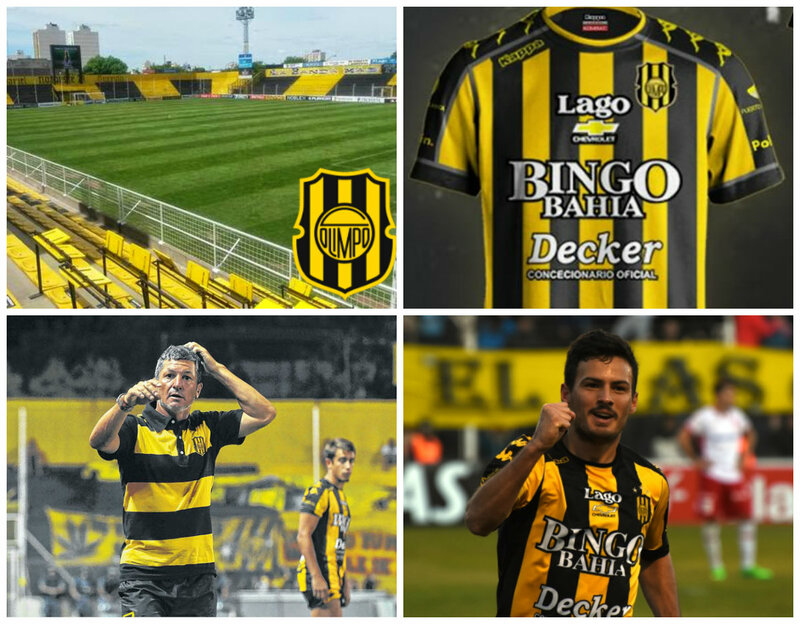 Devoid of much quality and home form in Paraná no longer enough to prop the side up, El Patrón look in real trouble. 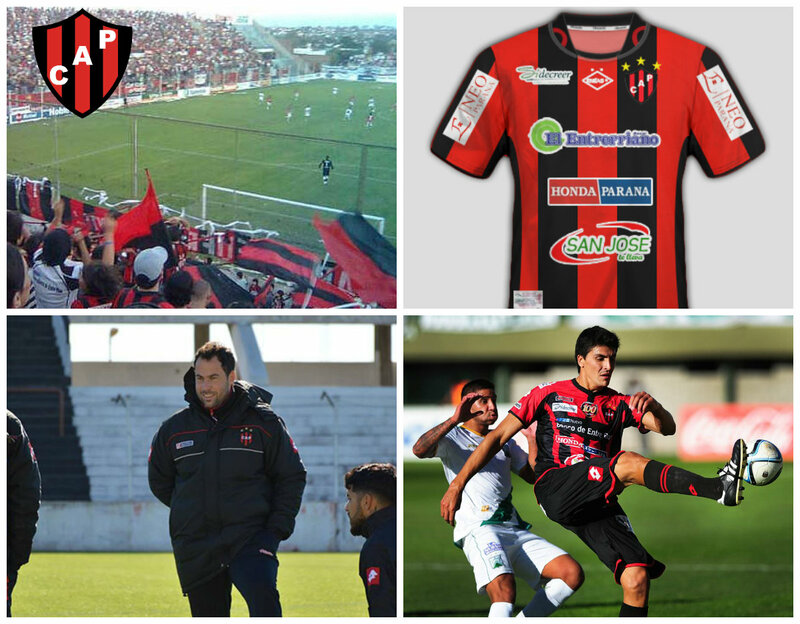 Now under the management of Juan Pumpido, Patronato have taken a somewhat scatter-gun approach to the market with plenty of new additions in the hope that something works out. 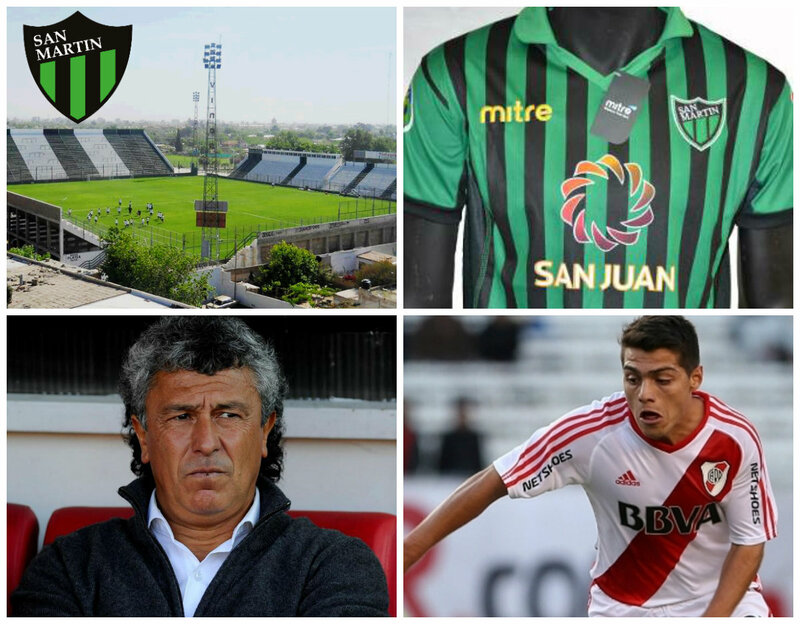 Transfers: With a long list of signings there are none that jump out and give the impression that they will shine in this Patronato side. Gonzalo Di Renzo and Adrián Balboa for example couldn’t save Sarmiento and Blas Caceres was unwanted at Vélez, which speaks volumes. Key Player: Matiás Quiroga still looks like the likeliest goal scorer and Patronato are going to need them if they are to stay up. Despite never really being in the title race last season, Racing achieved the objective of qualifying for the 2018 Copa Libertadores. Primera winning coach Diego Cocca returned and now with half a season under his belt has been able to address weaknesses within the squad and build a team that he will see fit for a serious challenge. Gustavo Bou and Marcos Acuña finally leaving Avellaneda is understandably a blow but La Academia have been busy in the window, have some outstanding young talents and have been wise to try and address the defensive issues. Results in preseason haven’t been outstanding but Racing continue in the Copa Sudamericana and if key players remain fit all season, Cocca’s boys will be a threat. 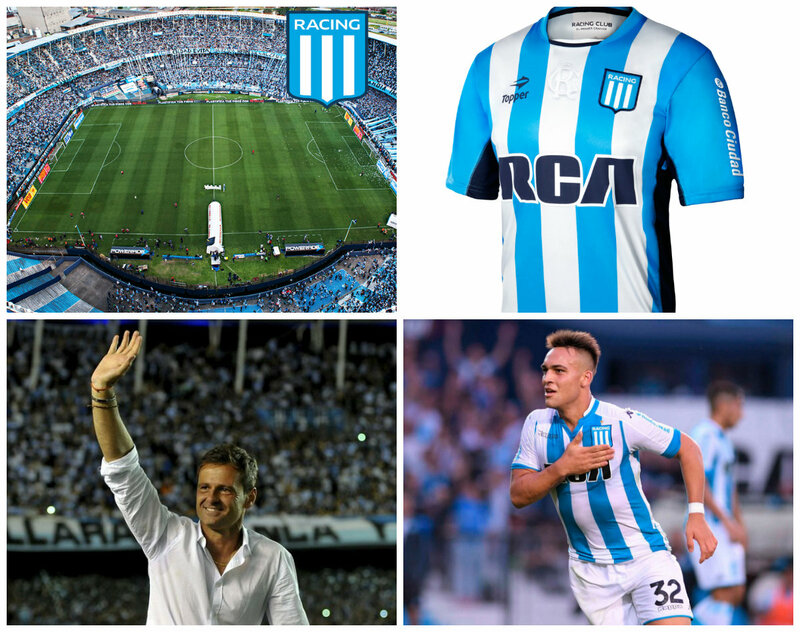 Transfers: Despite finishing in fourth Diego Cocca has overhauled the Racing squad somewhat and while Bou and Acuña were unwanted losses, La Academia have also cleared out the likes of Luciano Aued, Agustín Orion and Ezequiel Videla among others. Veteran Uruguayan midfielder Egidio Arévalo Ríos has arrived along with long-term target Andrés Ibargüen, the dangerous Enrique Triverio signed from Toluca and Augusto Solari from Estudiantes. However, the best business has been defensively where Racing signed Lucas Orban, Juan Patiño, Renzo Saravia, Alexis Soto and experienced keeper Javier Garcia. Key Player: It’s with good reason that so many big European clubs are after Lautaro Martínez. The youngster will start the season injured but if still at the club and fit, this could be the season, the 20-year-old really announces himself. A poor first half of the season ultimately cost River Plate in the title race but the incredible run after the break illustrated just how dangerous Marcelo Gallardo’s side are. Last season’s leading scorer Sebastián Driussi may be gone, Lucas Alario is now being linked with a move away but for the time being remains and is part of arguably the best squad in the league. Some fantastic business in the transfer window has seen a mixture of experienced, international quality arrive along with talented young South American talent and under the watchful eye of a coach destined for Europe, Los Millonarios are in great shape to challenge on all fronts. One of the favourites in this year’s Copa Libertadores, already qualified for 2018 and still going in the Copa Argentina, anything less than taking a title challenge to the wire would be failure. Transfers: Despite a number of players leaving El Monumental, Driussi would be the only considered a blow to the first team and so provided Alario remains, it’s been a tremendous window for River. The return of goalkeeper Germán Lux takes the weight of error-prone Augusto Batalla, Javier Pinola and Alexander Barboza are two of the best central defenders in the league, Enzo Pérez is still an international class midfielder, Nacho Scocco a proven goalscorer and Nicolás de la Cruz, Rafael Santos Borré and Marcelo Saracchi three exciting youngsters. Key Player: Having turned down opportunities to remain in Europe, Enzo Pérez opting to play for River is a real coup and his quality should shine through over the season. Following a really poor first half of last season, Paolo Montero arrived at the Gigante de Arroyito and oversaw a greatly improved second term, which should provide the platform for even greater improvement in the Superliga. The former Uruguay defender knows how to organise his sides but will be aiming to create more of an offensive unit this season and the pairing of Marco Ruben with Fernando Zampedri has the potential for a lot of goals. Victories over Unión and Sarmiento in preseason were undone by defeat to Vélez but the real test of Montero starting his first full season lies ahead. A 12th-placed finish last season must be improved as an absolute minimum. Transfers: Zampedri up front, Leonardo Gil in central midfield and Fernando Tobio at centre back should all prove astute signings for Central but there have been high-profile departures too. Javier Pinola’s decision not to sign a contract extension and leave for River was disappointing, Eduardo Coudet took Damián Musto with him to México, Víctor Salazar left for San Lorenzo and Teo Gutiérrez, after finally showing what he was capable returned to Colombia. Montero must swiftly mold his new-look side and lean on the club’s talented youngsters. Key Player: After proving such a threat as the focal point of Atlético Tucumán’s attack, Fernando Zampedri will be looking to do the same alongside Marco Ruben for Central. Diego Aguirre remains in charge at the Nuevo Gasómetro but is still a man under pressure and an embarrassing Copa Argentina exit before the season begins has only increased that. Progression in the Copa Libertadores and how Los Cuervos start in the Superliga will dictate for how much longer the Uruguayan coach remains in charge. 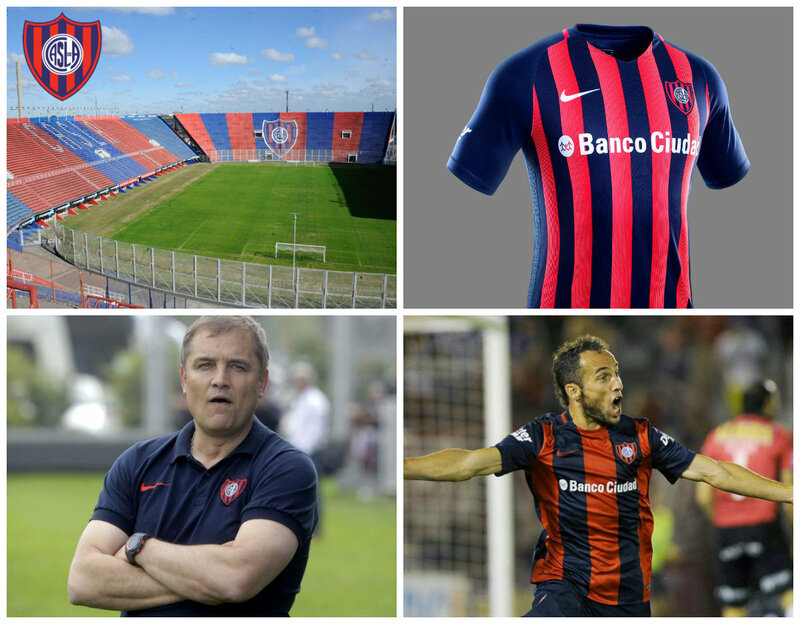 San Lorenzo haven’t looked defensively sound in a long time and after the gradual sales of the likes of Sebastián Blanco and Martín Cauteruccio, the goal threat has decreased. Aside from the cup shock against Deportivo Morón, preseason results have been good with victories over Montevideo Wanderers, Godoy Cruz and Peñarol. However, the new signings must make an impact to bring El Ciclón back to their rightful status. Transfers: Néstor Ortigoza, Gonzalo Bergessio, Tino Costa and Mathías Corujo leaving were noticeable but shouldn’t be critical provided the signings are successful. Central defender Gonzalo Rodríguez coming in from Fiorentina should be a significant improvement and supporters will be hoping that the 33-year-old is better than Fabricio Coloccini proved. Gabriel Gudiño, Víctor Salazar, Facundo Quignón and Alexis Castro are all in theory superb additions to the first team. Key Player: Players have come and gone but Fernando Belluschi pulling the strings in midfield remains absolutely crucial to San Lorenzo. One of the sides that were lost last season in the bottom half of a 30-team Primera, there was little to note about San Martín and not much to assume any different this campaign. Néstor Gorosito is still in charge and has added a few more interesting loan deals but looking at the possible starting eleven, it isn’t a side that looks likely of significant improvement. Preseason results against sides of a similar level have been mixed and so another year of inconsistent results and the odd win here and there looks likely. Starting the season a little above the relegation zone, San Martín may have just enough to survive but the goals can’t be much higher than that. Transfers: Gonzalo Prósperi coming in from San Lorenzo is the most high-profile signing but was one of eleven new faces. Damián Schmidt and Gabriel Carabajal will go straight into Gorosito’s first eleven and the loans of Luis Olivera, Leandro Vega and Nicolás Messiniti are all intriguing. Key Player: Among a group of young loanees, Luis Olivera, Leandro Vega and Nicolás Messiniti all look to have promising futures and may take their first real steps in San Juan. Despite results tailing off for Talleres last season, it was still a hugely positive campaign back in the top flight. Firmly in midtable, La T can probably expect a similar outcome from this campaign but little more. Frank Kudelka still has some hugely talented young players and despite losing a few regulars, have delved into the market to try and ensure a degree of progression. 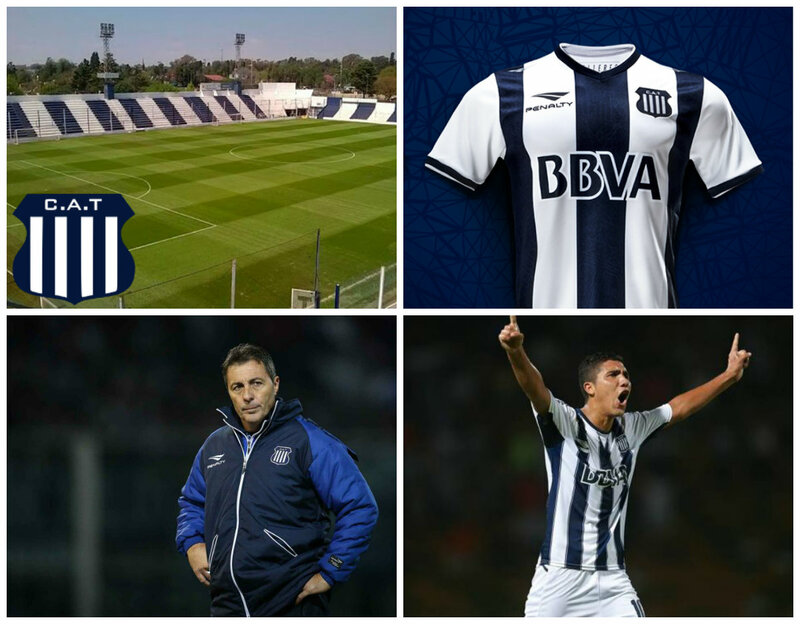 Decent defensively and with several players capable of causing opposition defences problems, Talleres will likely take a few scalps along the way but will lack the consistency to seriously challenge. Transfers: Plenty of movement in the market but perhaps not a great deal to Talleres’ first choice eleven should be a positive for Kudelka. Leonardo Gil and Ezequiel Rescaldani left for pastures new but La T have bought well. Argentina under-20 forward Marcelo Torres coming in on loan could be a revelation with a run in the team but the likes of Cristian Ramírez, Junior Arias, Lucas Olaza and Joao Rojas will all challenge for starting positions. Key Player: A joy to watch last season and a boost for Talleres that he is still at the club, Emanuel Reynoso will remain the one to watch in this side. After narrowly avoiding relegation, Temperley start the Superliga season in the drop zone and will have the sole task of climbing out. That will be far easier said than done when looking at El Gasolero’s squad and an opening weekend fixture at River Plate could barely have been tougher. Mauro Guevgeozián’s goals during the second half of last season were a decisive factor in the club’s survival but the striker hasn’t stuck around meaning someone else must fill that vital role and the options don’t look great. Usually competitive at home, Gustavo Alvarez has to find a way of picking up more points on the road to avoid Temperley’s spell in the top flight coming to an end. Transfers: Juan Sánchez Sotelo, Ramiro Costa or Ezequiel Montagna all have come in from relegation threatened sides having not really scored many goals previously so it’s difficult to imagine what will change in a Temperley shirt. Josúe Ayala is a decent goalkeeping addition, while Adrián Arregui, Adrián Scifo, Maxi Lugo and Matías Nani are all solid signings but will this elevate El Celeste to safety? Key Player: A swift return from MLS, while it might not have worked out with Montreal Impact, Adrián Arregui has already proved useful in midfield for Temperley and should slot straight back in. Lousy for the vast majority of last season, a repeat would see Tigre sucked right into the relegation battle but for now El Matador have breathing space. Pedro Troglio and Facundo Sava both came and went as managers before Tigre handed the job to the out-spoken Ricardo Lombardi three games before the end of the season. Caruso won two of them with his abrasive style of football and has now cemented his reputation as something of a Harry Redknapp/Sam Allardyce character by purchasing more than 20 players in the window. 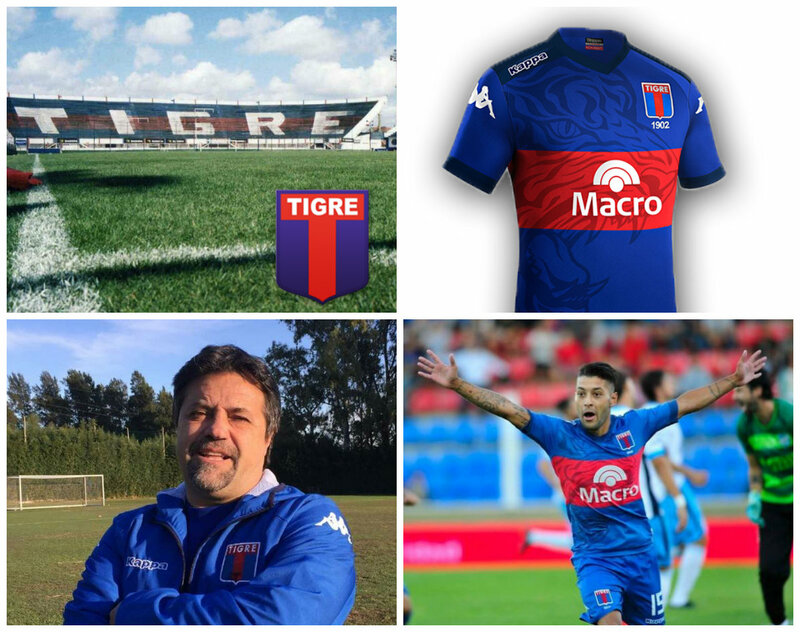 Preseason victories over lower league opposition and Defensa y Justicia suggest Tigre will be improved this season but are something of an unknown quantity under Caruso and completely new squad. Transfers: Where to begin? Alexis Castro, Diego Morales, Nelson Ibáñez and Sebastián Rincón among the list that left the club but plenty the other way to form a new eleven. Denis Stracqualursi and Matías Pérez García return to the club while Carlos Rodríguez, Maxi Caire, Jacobo Mansilla and Mathías Abero all arrive with the aim of improving the team. But seriously there’s too much so check out the full list. Key Player: A serious knee injury ruined Lucas Janson’s season but back fit, the youngster will be eager to build on his outstanding displays prior to that bad luck. With one win in the last twelve matches of last season, Unión will hardly be starting the Superliga with high expectations. Leonardo Madelón is back in as manager, less than a year after leaving the post, but has largely the same group of players to work with. Indifferent results in preseason and no new signings to really excite supporters, suggest El Tatangue will be in for another bottom half of the table season. Transfers: The signings of Damián Arce, Claudio Aquino, Diego Zabala, Damián Martínez, Guillermo Cosaro and Jonathan Bottinelli are all likely to play some role in Madelón’s first team but aren’t a significant shift in quality. The likes of Diego Villar, Diego Godoy and Guido Vadalá leaving more or less balance things out. Key Player: Scoring goals in a poor side is never easy but young striker Franco Soldano managed it. The 22-year-old will be aiming to do the same again before sealing the inevitable move away. 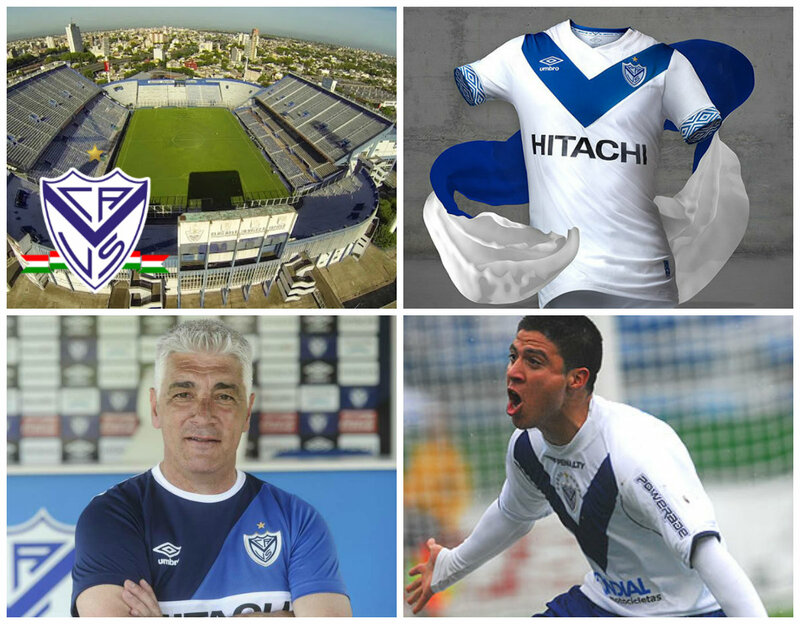 Years of mismanagement have caught up with Vélez and the club are right in the relegation mix this season. El Fortín weren’t bad in Liniers last season but were dreadful on the road, where they won only twice and Omar de Felippe needs much more to avoid panic setting in during the second half of the season. Preseason victories over Colón, San Martín, Temperley and Rosario Central are promising but count for little ahead of a critical season. New signings must hit the ground running and a club that has regularly produced excellent academy products must again lean on these players to get results – Maxi Romero, Nicolás Delgadillo, Matías Vargas, Lucas Robertone and Nicolás Domínguez all vital. Transfers: Aside from Juan Manuel Martínez, Maxi Caire, Cristian Nasuti and Diego Zabala leaving the big departure was centre forward Mariano Pavone, whose goals really kept the side afloat last season. However, Gonzalo Bergessio and Jonathan Cristaldo should in theory be able to replace those and Federico Andrada, Cesar Rigamonti and Gastón Díaz look like useful additions to the first eleven. Key Player: Among several good young players, returning striker Jonatan Cristaldo should in theory provide a little extra quality.